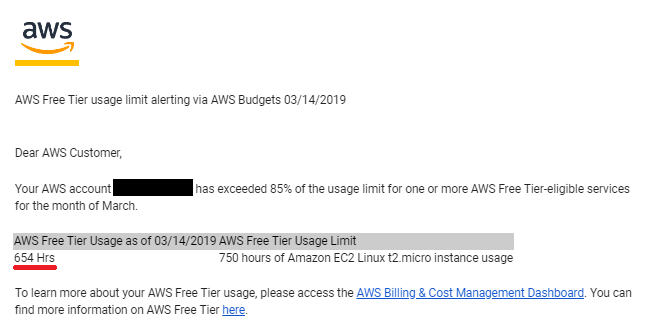 One interesting sentence is this here: "Some of the most common limits are by time, such as hourly or by the minute, or by requests, which are the requests you send to the service, also known as API operations." I do not understand it, maybe stupid question - sorry, but the more GET / POST request on my web occur, the quicker time goes? 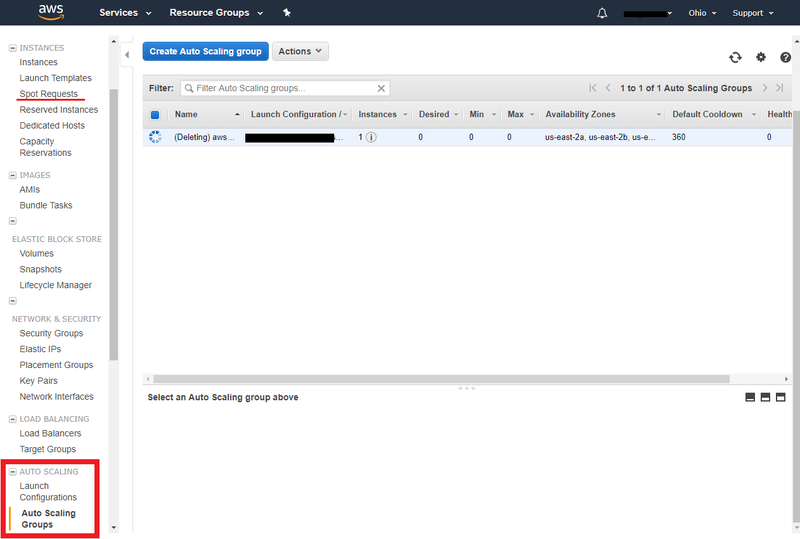 OR the more terminal SSL session instances I have the more time it consumes? 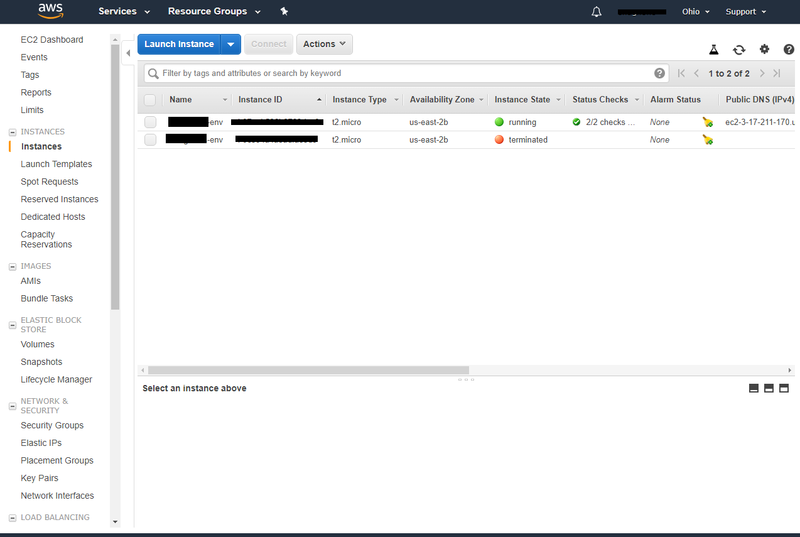 What's more, I connect with terminal to server 2 times a day for an 4 hours and I have 0 visitors on my web page. I use 2 ports, one for production(where I have runnig permanently thread with my site with nohup & and screen commands) and one for development simultaneously. 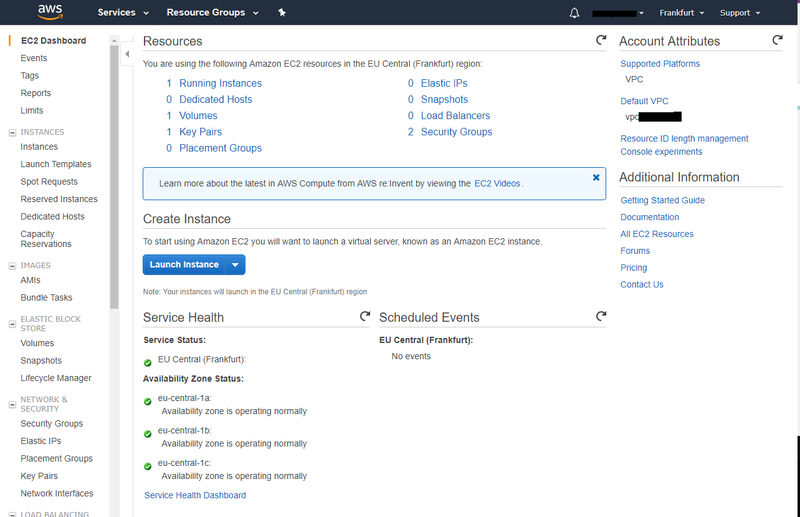 I wrote to AWS support, but as far as it is free account for now, the severity is LOW and therefore no respond. I have 3 days left I think and then I have to pay...don't understand why and why they did not reset calculation of hours with first day of March? The only possible cause of this would be that you actually have two, not one, instance running. 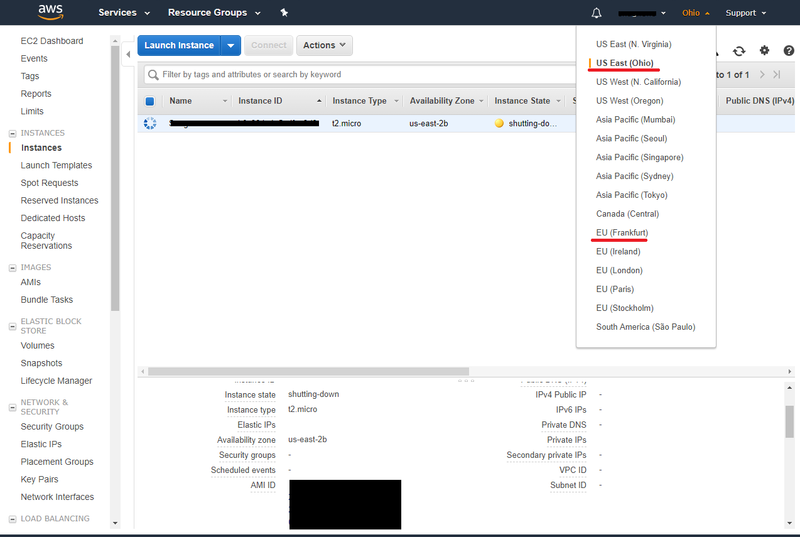 Check EC2 in all the other regions in the console, to find the other instance. Time does reset on the first of the month, and this line item is not usage sensitive -- as little or as much traffic as you want does not change how machine hours are calculated. API requests do not change how machine hours are calculated. 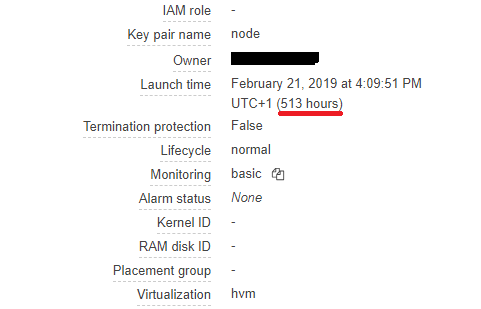 Formerly, stop/start events (similar to power off/power on, excluding simple reboot) on an instance would inflate the hours by 1 hour for each event but this has not been the case for a couple of years. 654÷2÷24 = 13.625 days of two separate instances running since the first of the month.